2016: After Jose Reyes served his suspension for domestic violence the Colorado Rockies optioned him to AAA & he was soon designated for assignment. 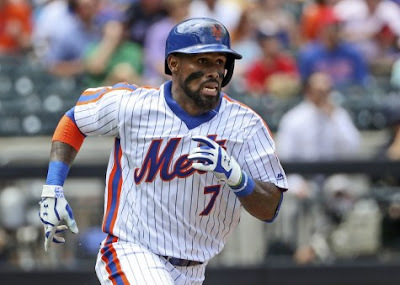 On June 25th, the Mets looking for some offensive help & an infielder to fill in for the injury plagued squad, signed Jose Reyes to a highly publicized minor league contract. After a month of stints at A ball Brooklyn & AA Binghamton, the Mets announced Reyes was to be joining the big league club at Citi Field. 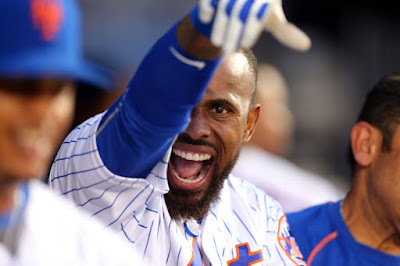 The animated Reyes ,made his triumphant return to the New York Mets on July 5th, 2016 batting his familiar lead off position. He went 0-4 that day but got a big ovation from Mets fans in a 5-2 loss to the Marlins. The next day Reyes hit a pair of doubles & scored a run in the Mets 4-2 win. 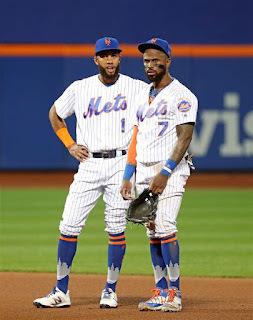 On July 7th, he hit his first HR of the season, it came in a three run 4th inning against the Washington Nats, helping the Mets tie the game & go on to a 4-2 win. 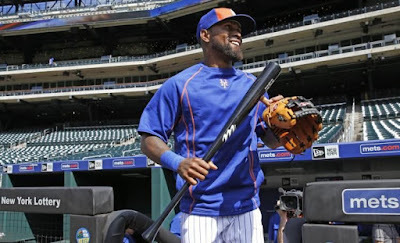 Two days later, Reyes hit two HRs against the Nats, although the Mets took a 3-2 loss. Reyes drove in runs in his next three games as well, finishing off July hitting safely in 13 of his first 16 games back, scoring nine runs. In August he hit safely in 13 of 18 games, scored 16 runs had seven multi hit games including two big four hit days. At the end of August he had gotten his average up to .300 & was getting credit for a sparking a Mets offense that had struggled from run production all season until what seemed to be upon his arrival. In September during a successful Mets road trip, Reyes hit HRs in back to back wins at Cincinnati, both coming in games where he collected two hits each. In the first two weeks of September he had five multi games. 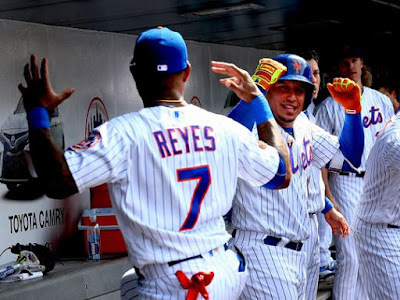 On September 16th, Reyes hit his 7th HR of the season, coming in a 3-0 Bartolo Colon (Addison Reed, Jeurys Familia) shut out of the Minnesota Twins. On September 22nd, the Mets were in hot pursuit of the Wild Card race. In the bottom of the 9th inning, with Brandon Nimmo on base, Jose Reyes hit a game tying HR off Jeanmar Gomez of the Philadelphia Phillies. The Mets went on to an 11th inning win, where Asdrubal Cabrera delivered the walk off HR & Reyes who had singled in that inning also scored. On September 25th Reyes had a two hit, four RBI day in the Mets 17-0 blow out of the Philadelphia Phillies at Citi Field. In the final three games of the regular season, he had a hit & scored a run in each game, driving in runs in two of the three. That weekend the Mets clinched the Wild Card title, getting Reyes to his second post season with the Mets, his last coming in 2006. 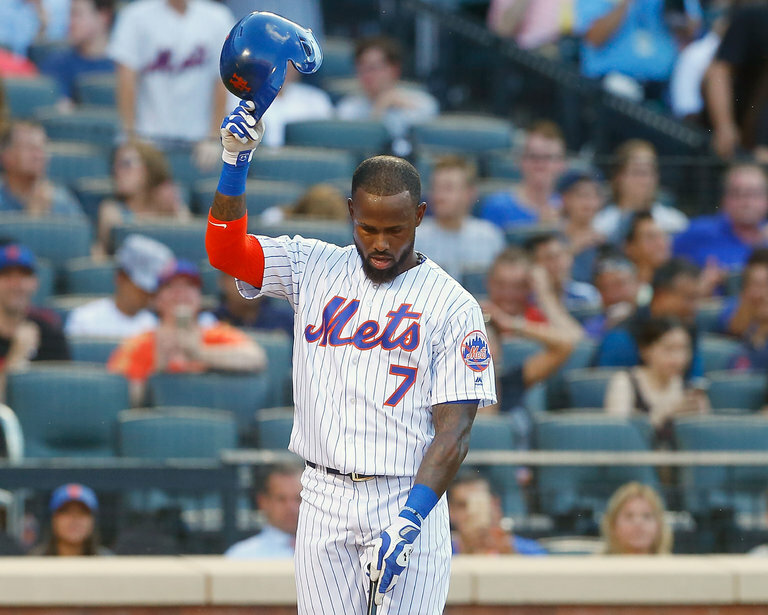 In 60 games with the 2016 Mets, Reyes sparked an offense in a good return to New York batting .267 with a .326 on base %, 68 hits 45 runs scored 8 HRs 13 doubles & 24 RBIs playing 50 games at third base & 13 at short. 2016 Wild Card Game: Reyes went 0-4 in the loss to the San Francisco Giants. 2017: Reyes started out 2017 as the Mets lead off man & main third baseman with David Wright being out indefinitely with his back injury. 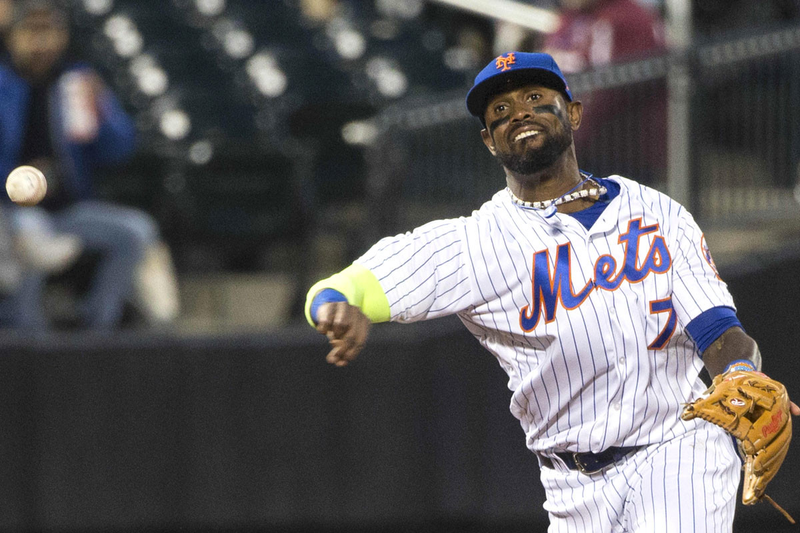 Reyes had a terrible start to the year, losing his spot in the leadoff spot & had some questioning if he was done. After the first 18 games he was batting below .100 bottoming out at .098, with just five hits on the year. On April 23rd, he started a hit streak where he hit safely in ten of eleven games, including five multi hit games. 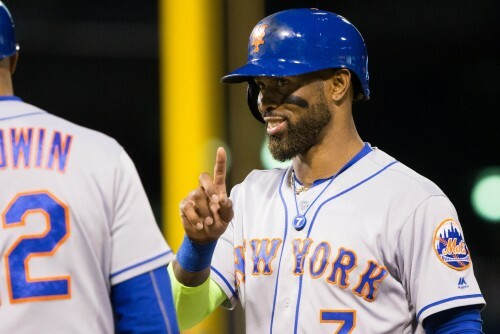 On April 27th he hit his first HR of the year, two days later he hit a 9th inning HR off Shawn Kelley helping the Mets defeat the Washington Nationals 5-3 in the Nations Capitol. Two days later he hit another HR, an 8th inning shot helping the Mets beat the Braves in their new ball park 7-5 in the Mets debut there. On May 3rd, Reyes produced three hits & drove in five runs, tying his biggest run production day of his career. 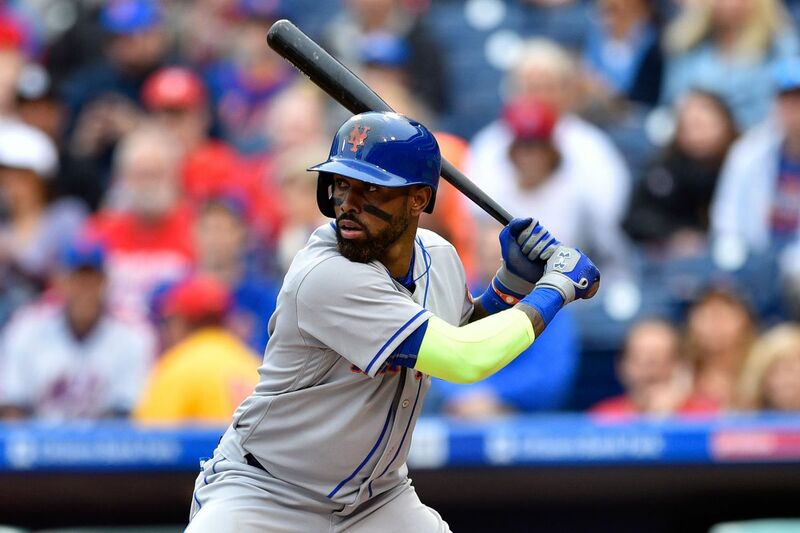 Reyes singled in a run off Bartolo Colon in the 3rd inning, adding a sac fly RBI in the 5th. In the 8th inning, with the bases loaded he hit a bases clearing double, topping off the Mets 16-5, 20 hit romp over the Braves. 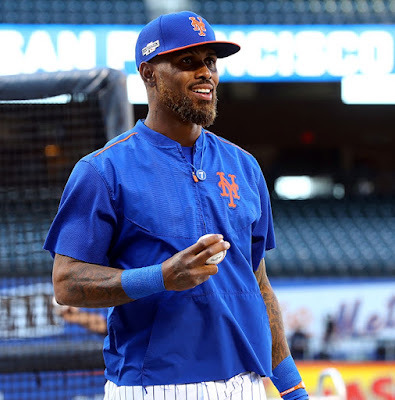 In early May after Matt Harvey was suspended for failing to show up for a game the day before he was scheduled to start, Reyes spoke out a bit critical toward Harvey. On May 20th he collected his 2000th career hit, joining 280 other MLB players who have reached that mile stone. 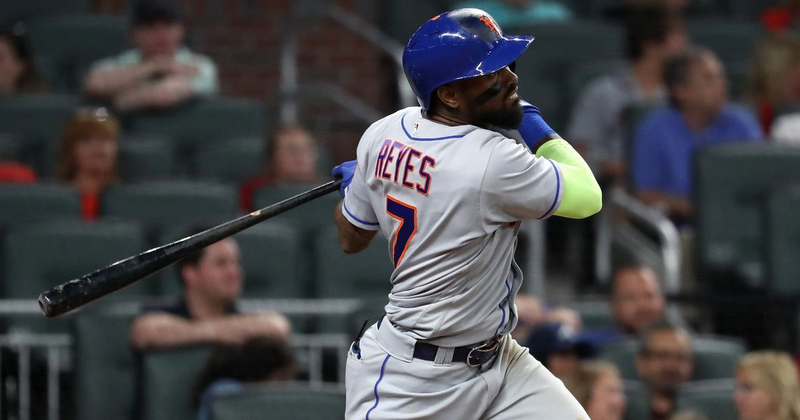 Reyes ranks 227th all time in hits. On June 19th he had a multi HR game, hitting a pair in Los Angeles in a Mets loss. He would have another muti HR game in September. That month, he hit 6 HRs with 18 RBIs hitting better than most players on a club going nowhere. In 2017 he would end up leading the club in games played (145) triples (7) & stolen bases (24) was second with 123 hits as well as his 25 doubles, while hitting 15 HRs with 58 RBIs & 75 runs scored, batting .246. In 2018 thru May he was ba3 in 35 games. With the emergence of young short stop Amed Rosario, Reyes seems to be getting to the end of his career. Jose Reyes in the Mets All Time leader in stolen bases (405) & triples (110). He is second in runs (860) & doubles (261) third in hits (1500) fourth in games (1290) tenth in RBIs (706) & twelfth in walks (411). 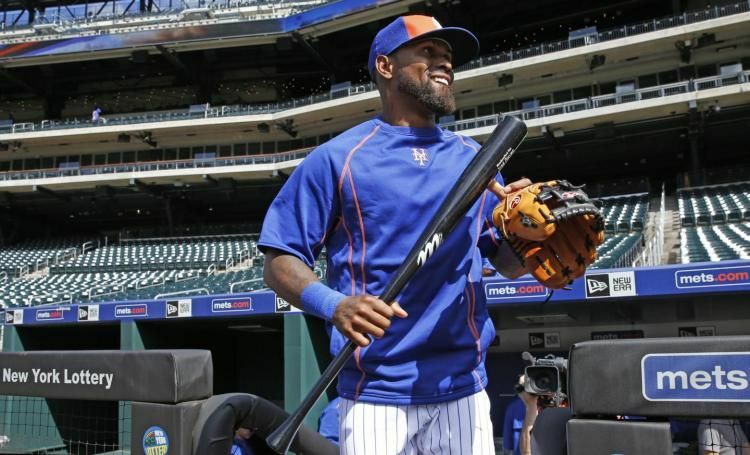 Reyes is second All Time in Mets games played at short stop behind Bud Harrelson, with 1086. In his 16 year career Reyes has played 1802 games with 2104 hits 1155 runs scored (212th all time) 376 doubles 110 triples (84th all time) 142 HRs & 706 RBIs with 572 walks & a .336 on base %. He has stolen 514 bases (33rd all time). In two post seasons he is a .229 hitter (11-48) with one HR, a triple, a double seven runs scored & five RBIs. He has played 1611 games at short stop with a .973 fielding % & 94 games at third base with a .937 fielding %.